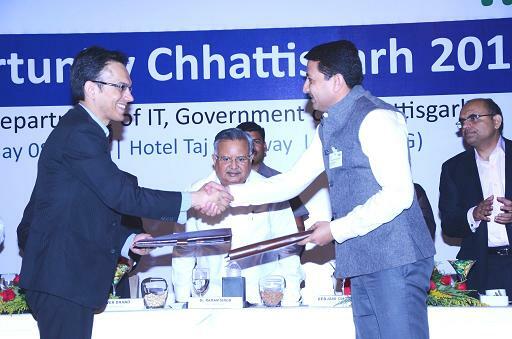 IT related electronics hardware manufacturing body Manufacturers Association of Information Technology (MAIT) signed the Memorandum of Understanding with Chhattisgarh Infotech Promotion Society (CHiPS) in Raipur, Chhattisgarh in presence of Chhattisgarh Chief Minister Dr Raman Singh. Anwar Shirpurwala, Executive Director, MAIT in his inaugural address commented "The MoU aims at contributing to the establishment of ‘Electronics System Design And Manufacturing’ (ESDM) and facilitate implementation of ‘Digital India Programme’ in Chhattisgarh". Dr. Raman Singh addressing the dignitaries of the state government and industry officials said, "The memorandum of understanding (MoU) signed by MAIT and CHiPS will give a major thrust to the nation and state’s economy in propelling the growth of the IT and Electronics Industry in India’. He invited IT and Electronics Industry to ‘Naya Raipur’ considering it as the IT Hub for capital investments in ‘IT & Electronics Manufacturing". He further deliberated upon the fact that 70 acres of area is dedicated to manufacturing clusters. Out of which, 28 acres of area will be utilized for manufacturing of ‘Mobile Devices, Solar Panels, IT Systems, Hardwares and Consumer Electronics Goods’ with Naya Raipur being certified as ‘National Manufacturing Investment Zone’. Ms. Debjani Ghosh and Mr Nitin Kunkolienkar on behalf of MAIT assured the Chhattisgarh Government in developing the ‘ESDM’ and contribute to ‘Digital India Programme’ as a part of the Manufacturing Clusters in Naya Raipur in partnership with CHiPS. CHiPS is the state nodal agency for Electronics, IT and ITeS in Chhattisgarh.